If you like the idea of a 9mm load that packs a lot of kinetic energy, but still has really low recoil, you need to take a look at lighter bullet weights. Heavier bullets have more inertia, so it takes more effort to get them moving and to stop them. So heavy bullets cause more recoil when you fire them and they penetrate better when they hit the target. The opposite is true for light bullets. They are easier to get moving since they have less inertia so they cause less recoil when fired. And on the target, they slow down faster which is good if you want to avoid over penetration. Because lighter bullets are easier accelerate in the barrel and they allow more room for the powder charge, they can be driven at much higher velocities which creates higher levels of energy. So they have less mass and momentum, but more energy. In a 9mm pistol or 9mm AR carbine, this allows you to combine very low recoil with very high velocity and high energy levels. An example would be a Cor-Bon 90 Grain +P Hollow Point. The energy level is 450 ft./lbs. at a blistering 1500 feet per second out of a pistol and considerably higher out of a carbine. Yet the recoil level is one of the mildest 9mm loads you can shoot. 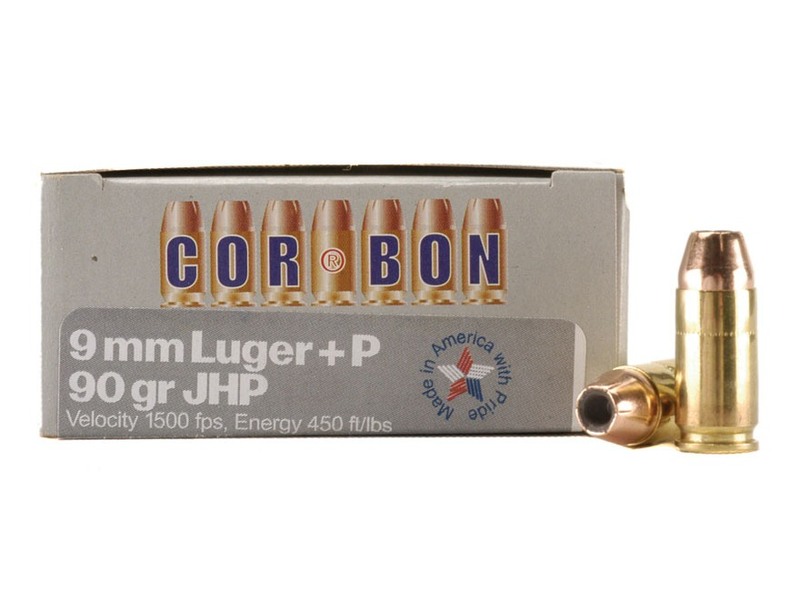 Cor-Bon’s 100 grain 9mm Powerball is the same way. These types of loads will not over penetrate on walls, etc. And when hitting a hostile threat, they will expand very rapidly and make a large wound channel, yet will not penetrate as deeply as the heavier 9mm bullets like the 124 or 147 grainers. This can allow for very easy, fast follow up shots and causes your blowback operated AR 9mm to run much softer than it does with the heavier bullets. So for many, these make a lot of sense and are worth a look as you try to find the best load for your purposes.